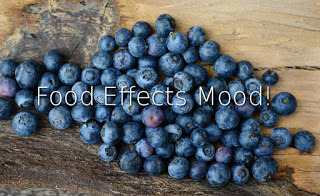 Blog | Food Effects Mood! Depression and anxiety are linked to what we eat according to new data. Amazingly, people who followed the above diet were four times more likely to no longer be defined as depressed than the other group that received social support sessions! This was published in BMC Medicine. Imagine if they combined some exercise in with that! Previous studies have shown that exercise (4x's/week) also had a huge impact on mood.